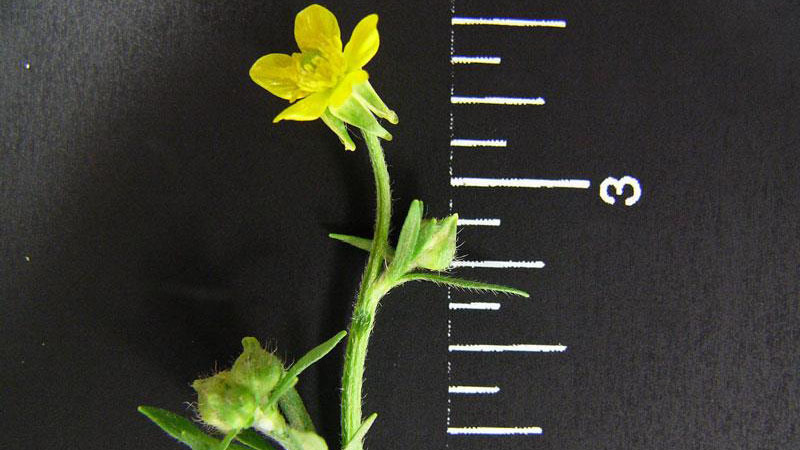 Two of the common buttercups found in North Carolina are hairy buttercup and bulbous buttercup. 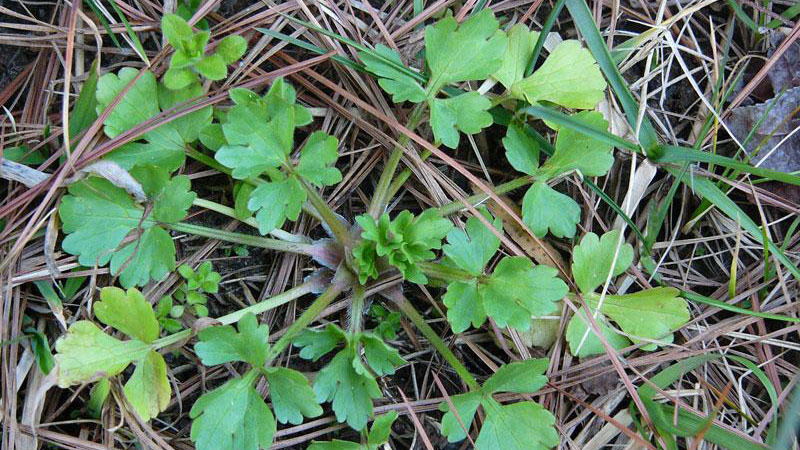 Hairy buttercup appears to be predominant in the Piedmont and Mountain regions, while bulbous buttercup is readily found in the Piedmont and Coastal Plain regions. 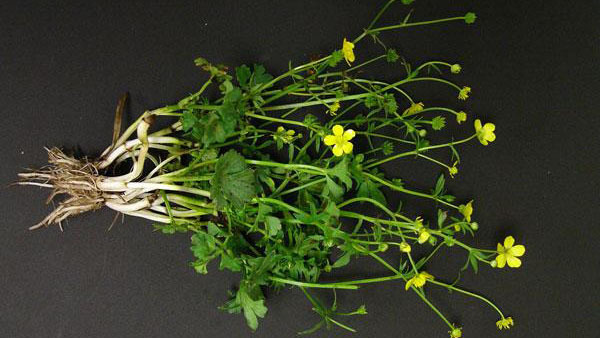 Vegetative characteristics of bulbous buttercup are similar to those of hairy buttercup except for the bulb-like swelling at the base of the stem. This swelling is roundish and white, slightly flattened at the top and bottom. 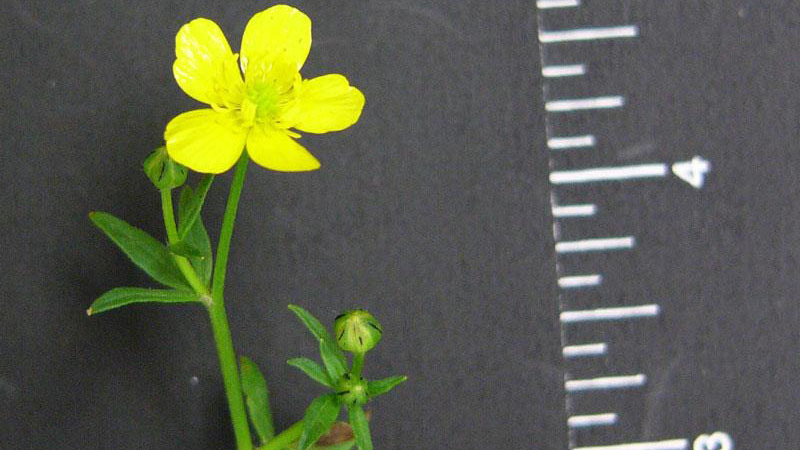 Smallflower buttercup is also found in North Carolina. 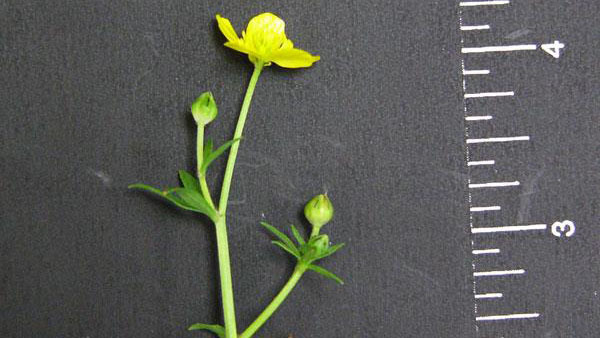 Whereas bulbous and hairy buttercup have lobed leaves, most of the lower leaves of smallflower buttercup are unlobed. Figure 1. 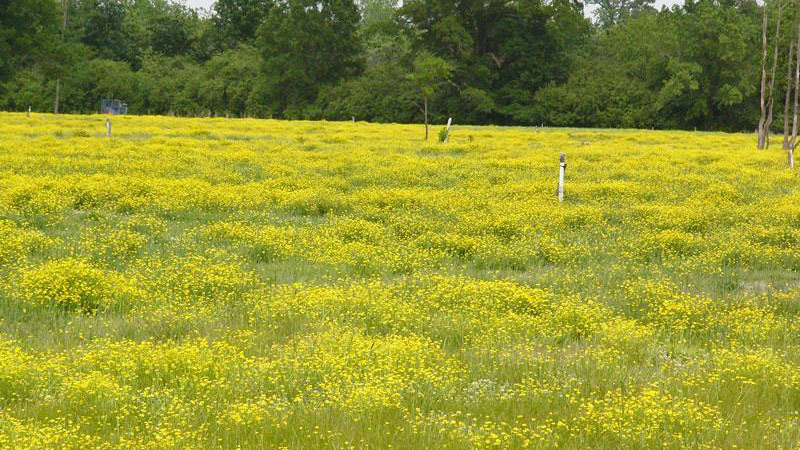 Bulbous buttercup growth habit. Figure 2. Bulbous buttercup growth habit. Figure 3. Bulbous buttercup growth habit. Figure 4. Bulbous buttercup growth habit. Figure 5. 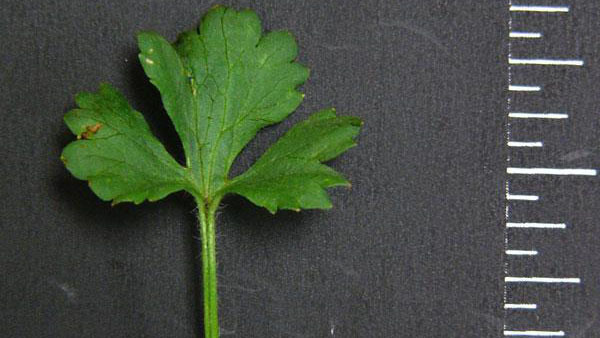 Bulbous buttercup leaf margin. Figure 6. 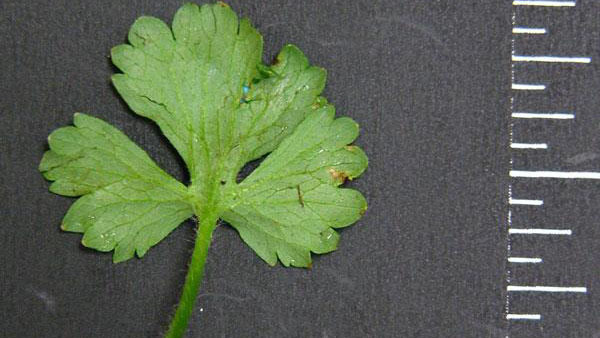 Bulbous buttercup leaf margin. Figure 7. 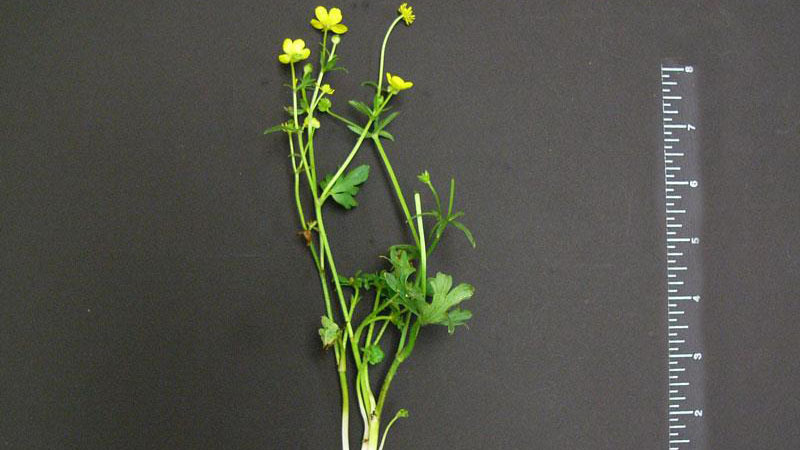 Bulbous buttercup leaf arrangement. Figure 8. 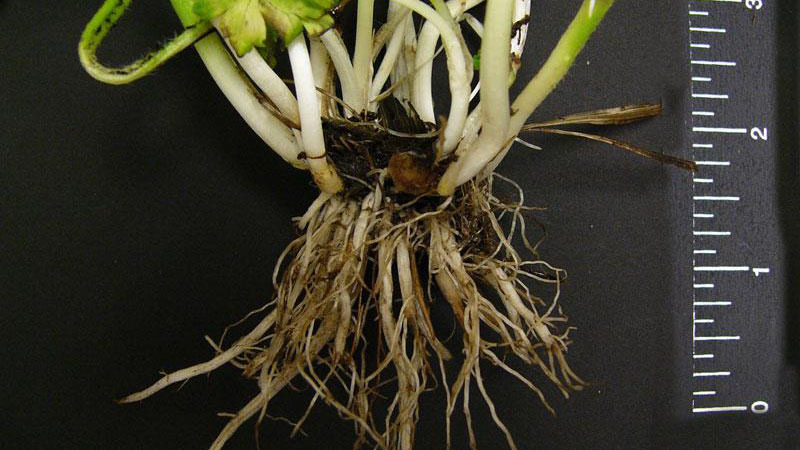 Bulbous buttercup root type. Figure 9. Bulbous buttercup flower color. Figure 10. Bulbous buttercup flower color. Figure 11. Bulbous buttercup flower color.